Username: Type your username in this field. BrowserID login: If you log in via BrowserID, please use this link instead of the login form. SSO login: If you log in via your institution’s SSO account, please use this link to be taken to the SSO login. The “Lost username / password” link only works for internal accounts where you use the regular login form. Internal accounts are accounts that were created manually by admins, by users or by a CSV file upload. 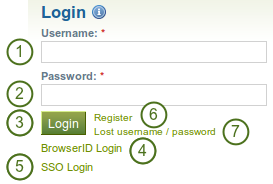 If you log in via BrowserID, SSO or Moodle for example, you must retrieve your password directly from these services. If you do not know how to do that, please ask your administrator. User name: The user name is displayed to indicate who is logged in esp. 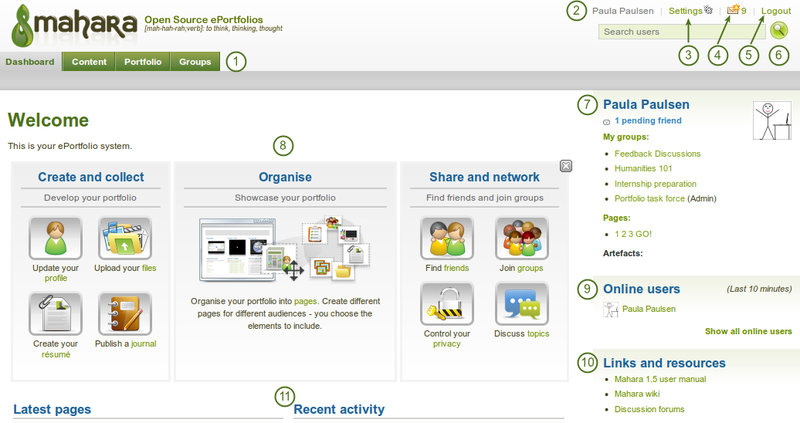 when viewing portfolio pages where the profile block is not visible. This feature is only present when small page headers are not turned on.